Distribution area: Southern Thailand up to Phuket. 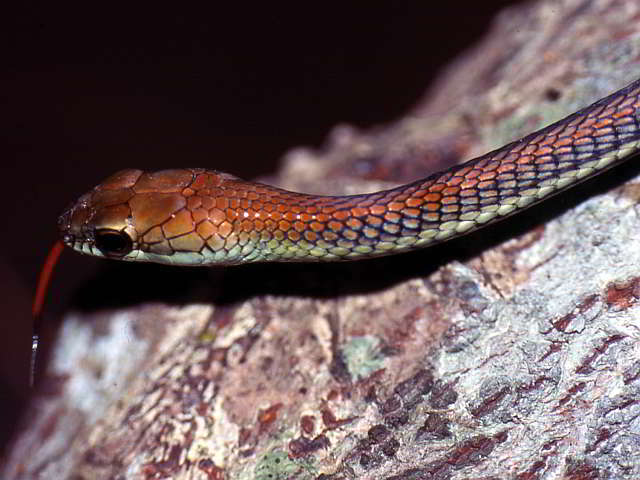 Behaviour/habitat: The Striped Bronzeback Snake is a quick, nervous snake. It lives in bushes and in the trees of hilly areas and can move just as quickly along a branch as on the ground. The snake is active during the day. It feeds on lizards and frogs. 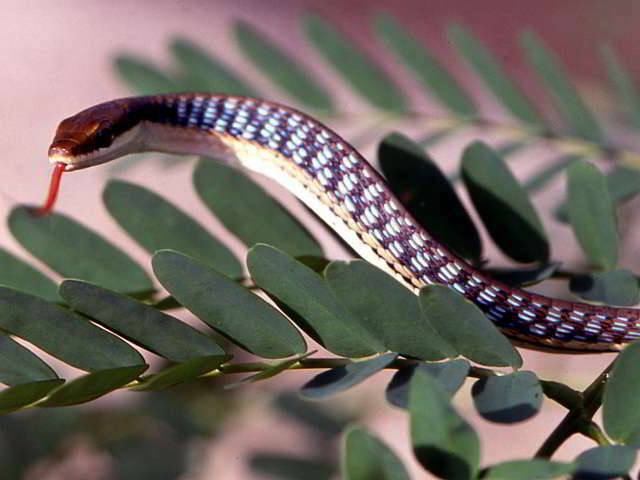 Behaviour/habitat: The snake can be found in woods and on the agricultural lowlands. It is active during the day and at twilight. Its food is frogs and lizards. If threatened, this animal shows imposing defensive behaviour. It enlarges the surface area of the front of the body by flattening itself out to the sides.